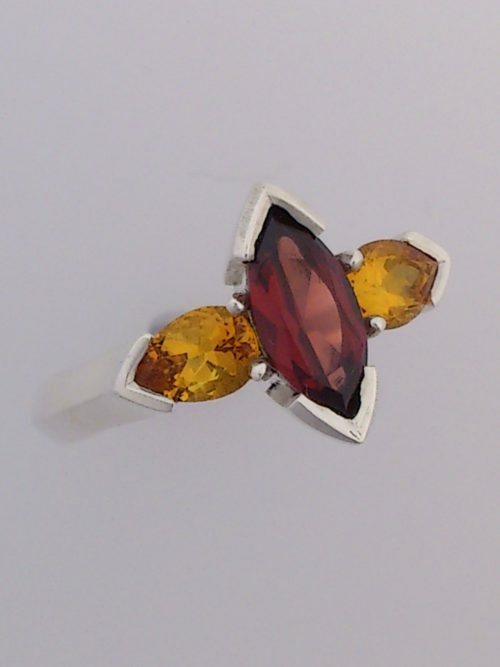 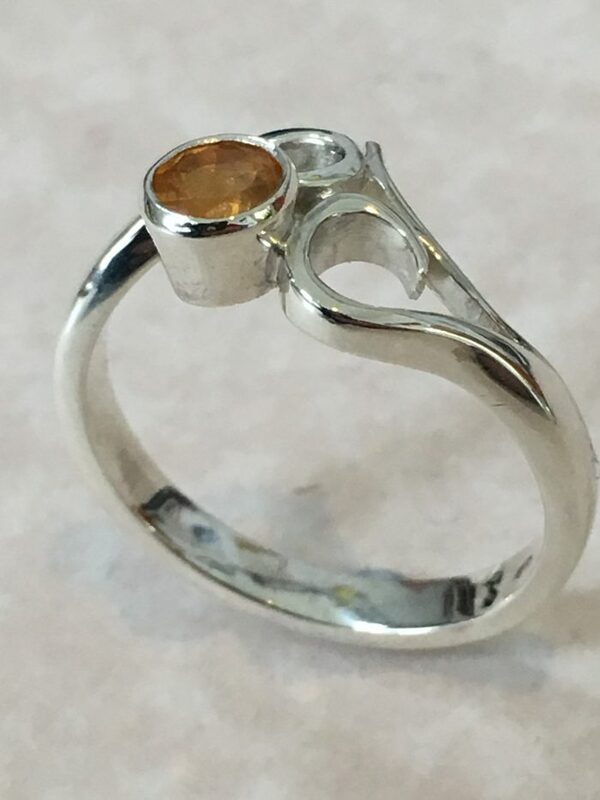 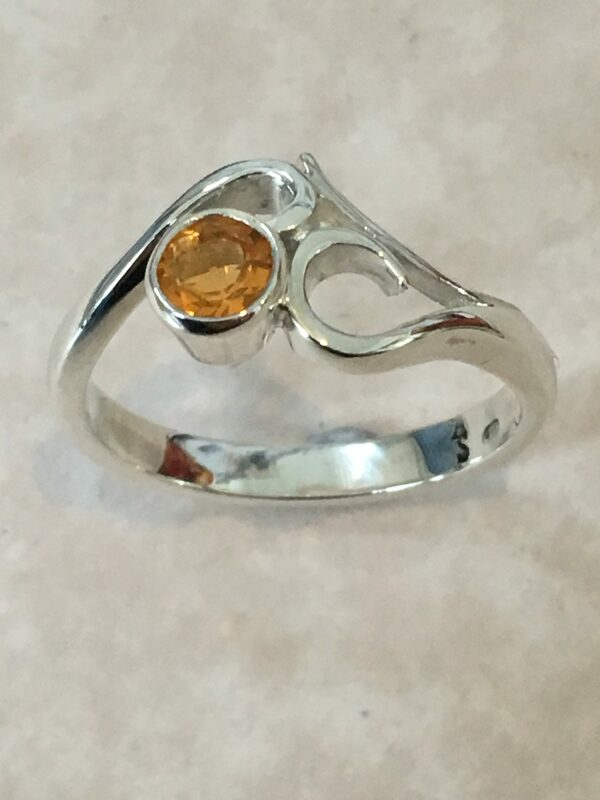 A stunning orange Mexican fire opal set into a sterling silver ring. 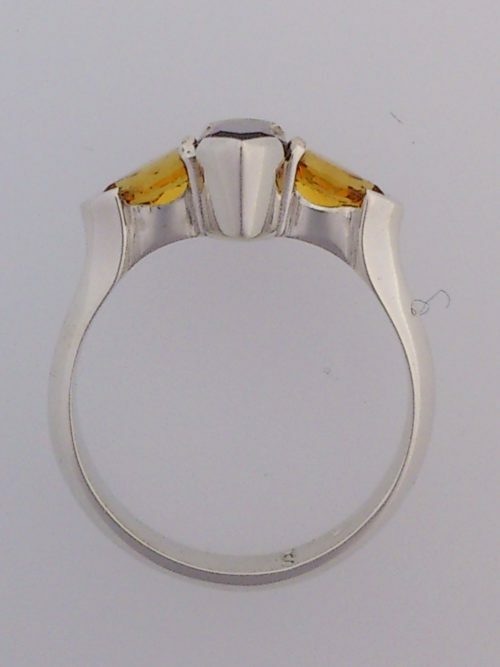 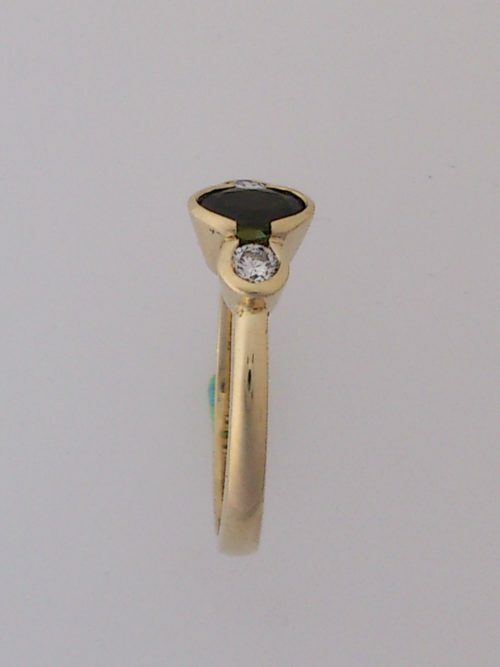 The single 5mm round fire opal is positioned slightly off centre in the asymmetrical curved koru style ring. 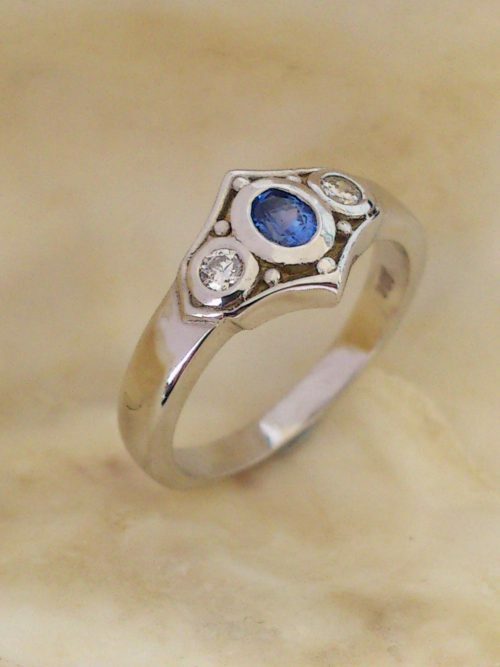 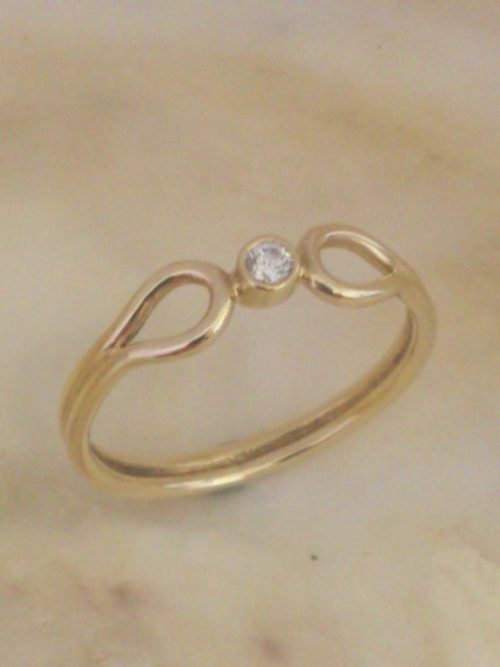 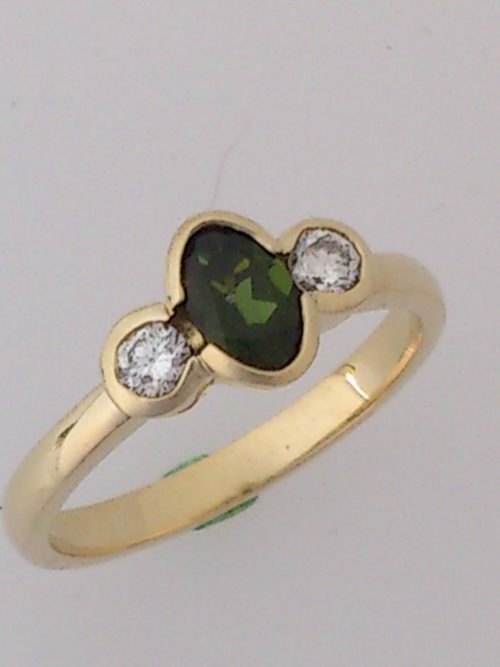 This ring is a one off design.